Many commentators say today’s readings are about who Jesus is. Isaiah, Mary in the Magnifcat and Jesus answering John the Baptist say who Jesus is. John the Baptist tries to make sense of it from prison. And, James urges us to remember who Jesus is and follow him patiently even when the kingdom seems far off. On December 15th it is hard to catch the attention of children with any of that. Instead we will have to highlight aspects of the text that do speak to children and will also enrich the understanding of the adults.
''' 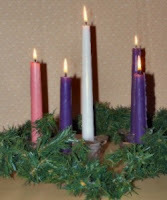 If you light a pink candle in your Advent Wreath today, explain that it is pink for JOY. Challenge listeners to listen in today's worship for Joy and for things that make us joyful. Caution them that some people find joy in surprising places, not places we usually look for joy – especially at holiday times.
''' Celebrate the fact that even in the hard times we know that God is in charge and peace and joy will be the final words by singing “O Come, O Come, Emmanuel.” The words are hard for children. They get the message in the contrast between the sad music of the verses and the happy music of the chorus. Emphasize that difference by having the verses and chorus sung by two different groups – two sides of the congregation, the choir and the congregation, or a soloist and the congregation.
''' On Joy Sunday sing “Angels We Have Heard on High” simply to enjoy singing the grand strung out Gloria chorus. Practice the chorus before singing the hymn. Translate it "Glory to God" or "Praise God,” but point out that people who speak all sorts of languages everyday have been singing these Latin words for centuries. Then sing the song imagining yourselves singing with all those people.
''' Invite worshipers to sing “Joy to the World” imagining themselves behind prison bars like John the Baptist. Describe John remembering the vision of God’s kingdom. Point out the first phrase of each verse putting them into your own words to emphasize God’s coming even when things look bleak.
''' Even though it isn’t a Christmas song, “I’ve Got A Joy, Joy, Down in my Heart” fits the day’s theme. To focus attention on patiently sticking with God’s vision when things are darkest, sing only the opening verse and “If the Devil doesn’t like it he can sit on a tack.” It could be sung while lighting the Advent candles….
''' REMINDER: Many congregations have become sensitive to people for whom it is hard to rejoice at this time of year. Remember that this group includes children as well as adults. Children face the same problems that daunt the adults, but do so with different twists. For one thing, they lack the experience of many Christmases that the adults can draw on to keep a sense of balance. For another, they feel that as a child they should be totally into the season. It feels even more unfair to them than to the adults that they are not going to have special gifts or fun family gatherings or decorations or…..
''' Verses 3-4 call on listeners to be strong and not be afraid no matter how bad things look at the moment because God will come to their rescue. Explain briefly that the listeners were prisoners of war in a foreign country. Life for them was lousy. Isaiah urged them to be strong because God will always have the last word and it will be good. Point out to the children that though we are not prisoners of war, we face lots of really hard situations and must deal with people who are really rough. Isaiah’s promise is for us. No matter how hard things seem at the moment, we know that God will eventually win and peace will come. Knowing that, we can be strong and patient.
''' Verses 5-6, and maybe also verse 3, describe the healing of the lame and sick. Bring out the big Bible in which to look up and read these verses. Holding your place flip to Matthew 11:4-5. Read that. Together with the children compare the two lists. Then ponder what Jesus might have been trying to tell John.
''' This is a psalm of praise. The psalmist lists some of the wonderful things God does. The NRSV translation begins each item in the list with “THE LORD.” Before reading this version of the psalm, alert worshippers to listen for the things that THE LORD does. As you read, emphasize THE LORD vocally and even with a raised finger each time you read it. Or, invite the congregation to read with you reading the bolded lines in the script below. And who depend on the Lord their God. The Lord keeps every promise. The Lord judges in favor of the oppressed. The Lord lifts those who have fallen. The Lord protects the strangers who live in our land. ONE: The Lord is king forever.
''' The dictionary definition of patient is “able to endure waiting, delay, or provocation without becoming annoyed or upset”. After reading the text, first ask children for their definitions of patient, then bring out the dictionary to look it up. See what it says that is just like what you already said and what it adds.
''' Or, bring the big Bible down to the steps to read these verses. You might even get one of the children to read a sentence or two. Then talk through a series of examples of patience moving from the hard enough waiting for what is delayed without getting annoyed or upset to the even harder enduring provocation (difficulties) without becoming annoyed or upset. Note that the manger in the crèche is still empty. It’s been up there two whole weeks and there are still ten days to go until Christmas. That feels like forever. But Jesus says be patient. Be kind and good to each other while you wait. And then there are the things that look like they will never change. Your sister never cleans up her side of the room you share. Her stuff is all over everything. Even when your side is neat, her side makes the whole room look like a pig pen. She might get neater as she grows up, but she might not. Still, she’s your sister and you do have to share a room. You have to be patient with each other just the way you are.
''' 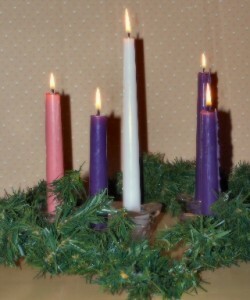 Light the third candle of the Advent Wreath with a prayer for patience. God, as we light the third candle of Advent, we ask for patience. We pray for the ability to wait without getting grumpy. even when the goal seems a long way away.
''' John the Baptist’s question to Jesus is a grown-up’s question that grows out of having worked hard for a long time for a vision that is looking shaky now. Children will not appreciate that. So with them explore some of the subplots and themes in this story.
''' John asks, “are you really the one we’re waiting for, are you really God With Us?” Jesus replies, “Look at what I’m doing. Doesn’t that look like God in action?” The challenge for the next two weeks is to celebrate Jesus’ birthday by doing the things he did, i.e. care for those who need our assistance. Talk with the children about birthday parties that feature things the birthday girl or boy really likes to do – skating, swimming,… Point out that since Christmas is Jesus’ birthday we should be doing the things he likes to do. Read verses 2-6 paraphrasing as you go. Then, point out that what we should be doing is to take care of people who need it. We may not be able to cure someone by touching them like Jesus did, but there is plenty we can do to help out. Describe a couple of local possibilities like buying a gift for a child on an angel tree, buying an animal through Heifer project,… Make your suggested projects ones that are easy for a family to do, then challenge the children and their families to do at least one thing Jesus likes to do between now and Christmas to celebrate his birth.
''' Jesus answers John’s question by asking him what he sees Jesus doing. The carol “Do You Hear What I Hear?” points to a series of things (a star, a song in the night, and a child born in a stable) that could be normal but are very special if you really look at them. Before it is sung, point out the conversations that are going on in each verse. Emphasize them by having the two halves of each verse sung by two sides of the congregations, two choirs or two soloists.
''' 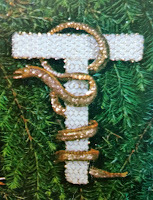 Sing “O Come, O Come, Emmanuel” using the directions near the beginning of this post.
''' Light the third candle of the Advent wreath for Emmanuel to remind ourselves of the answer to John’s question - God was with us in Jesus and is with us every day.
''' Artist Jan Richardson created a wonderful layered paper collage in response to John looking through prison bars to see a dark world with hints of glory bleeding through. Go to The Advent Door to see her masterpiece and read her thoughts about it. This is more than children can understand, but…. Her work is very like the art children make by painting a beautiful picture which they color over with black crayon then scratch through to see some of the colors below. I can’t get beyond the possibility of coloring over a bright yellow piece of construction paper while talking about all the awful things in the world, then scratching a star in it. If anyone takes it further or comes up with another way to use this child art form to explore hope in bad times, I (and I’ll bet) others would love to hear about it in comments.
''' If you read the Magnificat in today’s worship, tell the story of the annunciation before it is read. Since the Biblical version includes language about Mary being a virgin, read the story from a Bible story book or tell it in your own words. (The key is to replace, “but I am still a virgin” with “but I am not yet married.”) Then ask a well prepared teenage girl to read Mary’s song with appropriate power and possibly to move the crèche Mary figure from its current position to its place by the manger. This could be done with the children in their pews. Or, the children could be invited to the front to hear the story from you, listen to the teenager reading from wherever scripture is usually read, then return to their seats. The teen’s reading should clearly be the gospel reading of the day and not just something done for the children.
''' 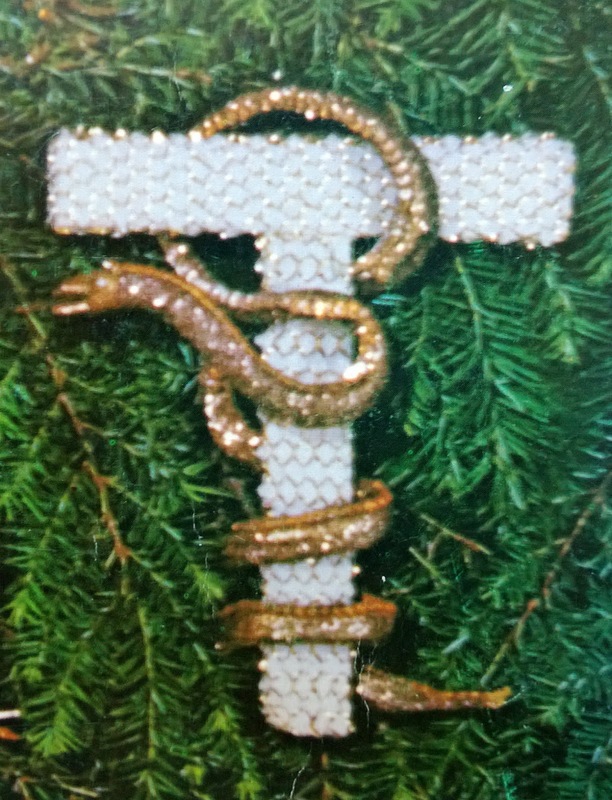 If the focus is on Mar, light the third candle of the Advent Wreath for brave Mary ready to do what God asked.